Hardee's releases a trio of "Hardee Value" sandwiches / burgers for $2.49 each. - Hot Ham 'N Cheese - Sliced deli ham and melted Swiss cheese on a toasted sesame seed bun. - Southern-Style Tender Sandwich - Two Hand-Breaded Chicken Tenders, mayo, and dill pickles on a toasted sesame seed bun. - Bacon Double Cheeseburger - Two charbroiled beef patties, bacon, American cheese, dill pickles, diced onion, ketchup, and mustard on a toasted sesame seed bun. 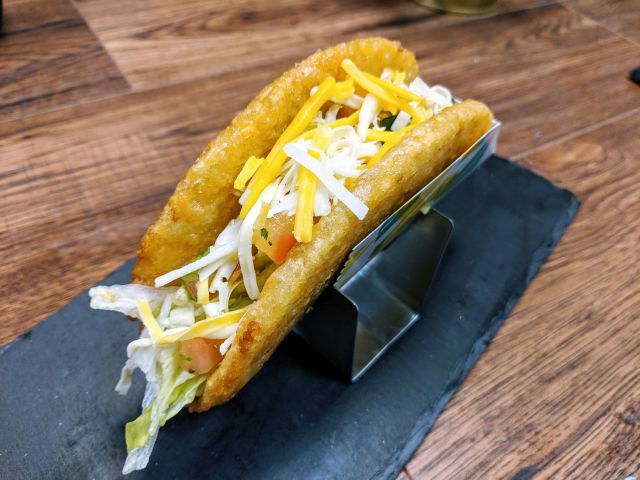 The promotion is available for a limited time at participating locations. 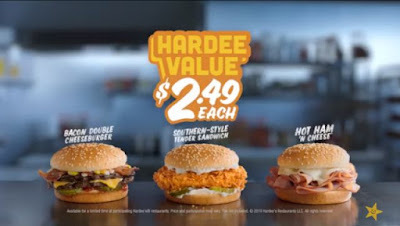 The $2.49 deal appears to be Hardee's on sister chain Carl's Jr.'s $2.49 Charbroiled Double Deals.